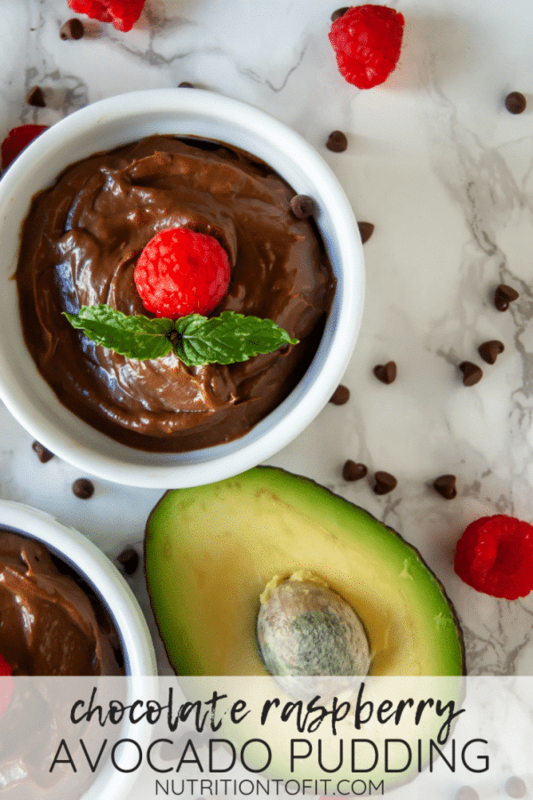 This chocolate raspberry avocado pudding is a perfect healthy dessert full of fruit, healthy fat, fiber, and antioxidants – all from just four ingredients! 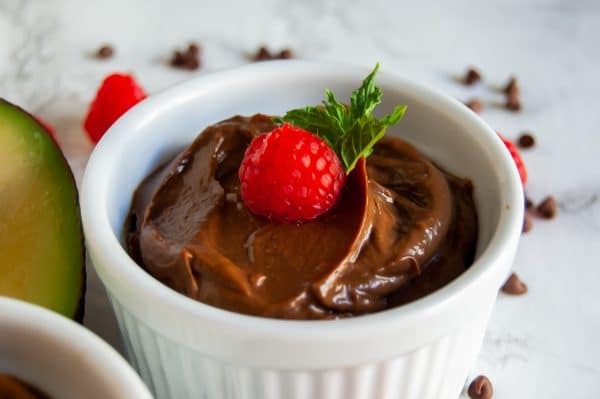 It’s perfect for a simple sweet treat to a special, healthy Valentine’s dessert! Sometimes dessert is needed. And I’m totally in the camp that if I’m eating a dessert nine times out of ten it needs to be chocolate. What makes dessert even better is if I can get the chocolate craving satisfied AND feel good about what I’m eating. Enter this pudding! It’s so, so easy. You need one kitchen tool (either a blender or food processor) and four ingredients. 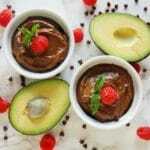 This pudding gets its creamy thickness from pureed avocado. Cocoa powder and honey add a natural, sweet chocolate flavor. And the raspberries…oh you can’t beat raspberries and chocolate together! They marry perfectly! Actually, fun fact – speaking of marriage and raspberries/ chocolate, we served a raspberry chocolate cheesecake as our wedding cake, totally tiered and visually looking just like a wedding cake! So clearly, I’m serious about this combo! Again though, this dessert is one you can feel good about. The bulk of what you’re eating is fruit! Yes avocados are a higher fat fruit, but you don’t need to fear fat. Especially since the majority of the fat in avocados are made up of healthier monounsaturated and some polyunsaturated fats. 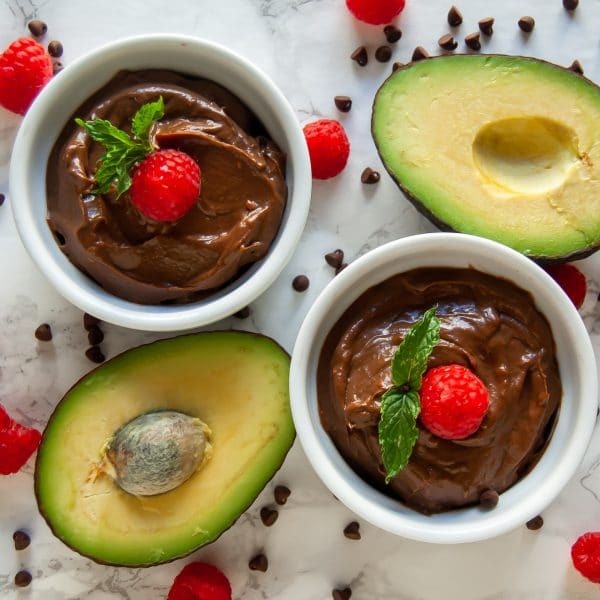 On top of the plentiful healthy fats, this avocado pudding is also full of fiber, thanks to the avocados and raspberries. In fact, one generous serving has 8 grams of fiber, about 25% of your daily needs! Bottom line, this dessert is fun, easy, delicious, and pretty clean! My only caution is making sure kiddos younger than one don’t eat it, because honey isn’t good until their digestive tracts have gotten a little older (over the age of 1)! Give it a try guys, and be well! P.S. 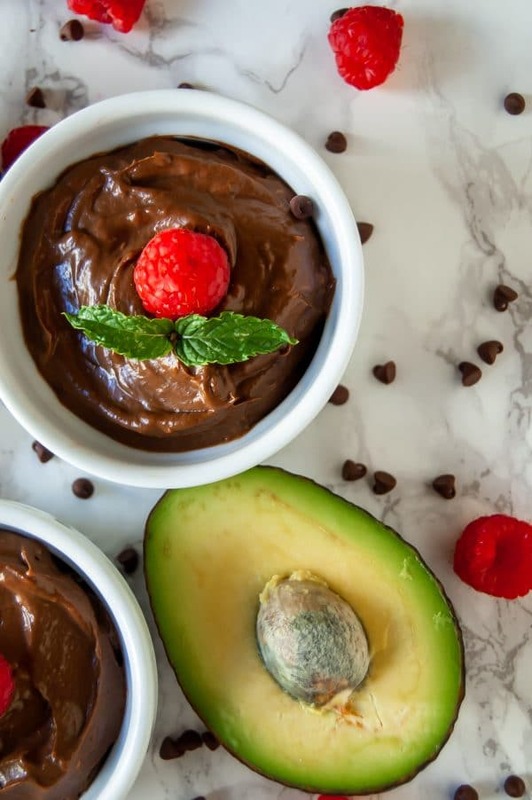 If you’re looking for more healthier treats, try these other Nutrition to Fit healthy dessert recipes! Don’t forget to leave a comment and share a photo of any NTF recipe creations you take! Tag me (@nutritiontofit, #nutritiontofit) on social so I can see! Live well! 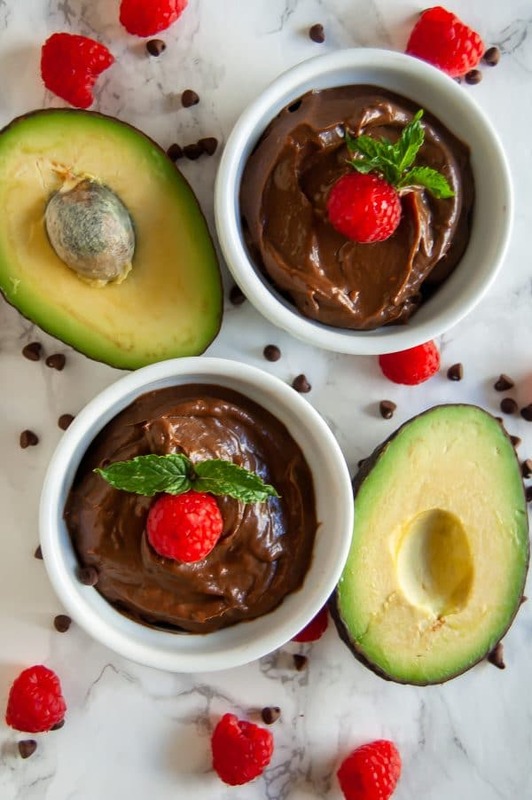 This chocolate raspberry avocado pudding is a perfect healthy dessert full of fruit, healthy fat, fiber, and antioxidants - all from just four ingredients! 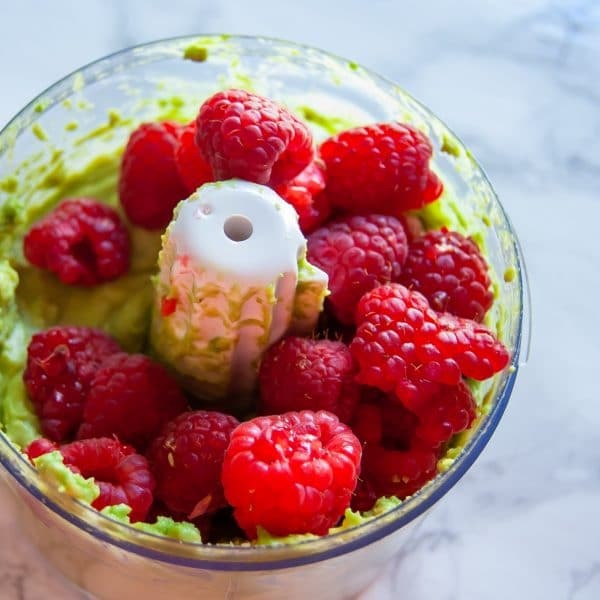 Blend all ingredients in a food processor or a blender until evenly combined. Refrigerate until thoroughly chilled, approximately one hour. Dig in as is, or top with fresh mint, fresh raspberries, and/ or mini chocolate chips! Nutrition information does not include any garnish.